As a young child, every morning at sunrise I would wake up to tap dance on the patio outside my mum's bedroom door, much to my poor mum's chagrin. These sunrise salutations became an enduring family story, as did my habit of getting up with the sun. 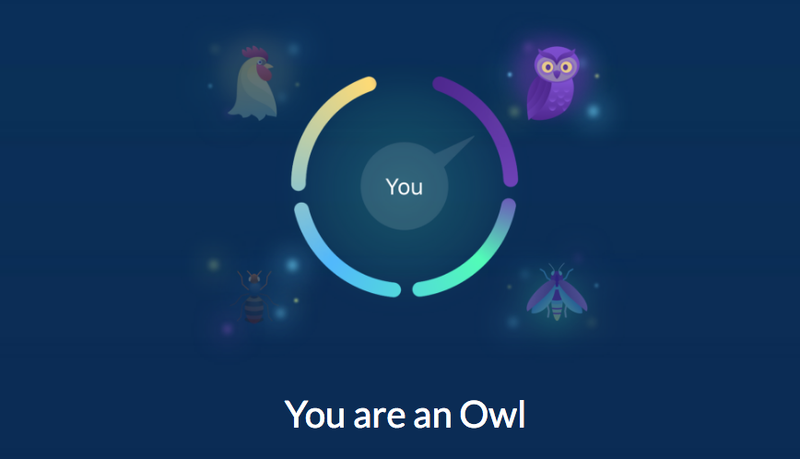 Imagine my surprise, then, when a DNA test recently suggested that I am, in fact, a night owl. This personal insight came to me via SlumberType, a new DNA analysis "app" that looks at 10 different genetic variants associated with sleep in order to model your genetic chronotype, or, as the company puts it, "where you fall along a spectrum of 'morningness' to 'eveningness.'" SlumberType is one of more than a dozen new DNA products in the new DNA "app store" recently launched by the consumer genetic testing startup Helix. The apps, which rely on DNA sequencing results the user purchases from Helix, range in purpose from the simply entertaining to those intended to helping people sleep, eat and exercise better. But as you might imagine, the secret to a good night's sleep is a little more complicated than DNA alone. The idea behind SlumberType, Ron Andrews, the CEO of its parent company, Exploragen, told me, is to help people get a better night's sleep by understanding what genetics might say about their natural tendencies. The company's scientists combed through dozens of studies on sleep, and chose genetic variants most strongly associated with sleep to build a formula for modelling people's individual chronotypes. Andrews said his test helped him realise that he's a "bee," (a morning person) and adjust his sleep patterns accordingly. My own results had suggested I am at the far end of the spectrum, my peak activity hours falling in the wee hours of the night. I am typing these words, by the way, at 5:00 a.m., after falling asleep at my laptop working at the oh-so-late hour of 9:00 p.m. In the past decade, DNA sequencing has gotten really, really cheap, paving the way for an onslaught of direct-to-consumer genetic testing companies that purport to offer the answers to everything from what wine you might like to the type of exercise optimised for your body. Typically consumer DNA tests require that you spit in a tube, send your saliva into a lab, and a few weeks later get back a one-time report. Helix, though, has a different vision. For an initial fee of $US80 ($101), the company sequences what's known as the exome, the 20,000 or so most important genes of the human genome. It's a far more extensive test than the genotyping companies like 23andMe and Ancestry.com perform. Customers can then pick and choose what pieces of information they might like from their genome, purchasing third-party DNA apps from the Helix store. 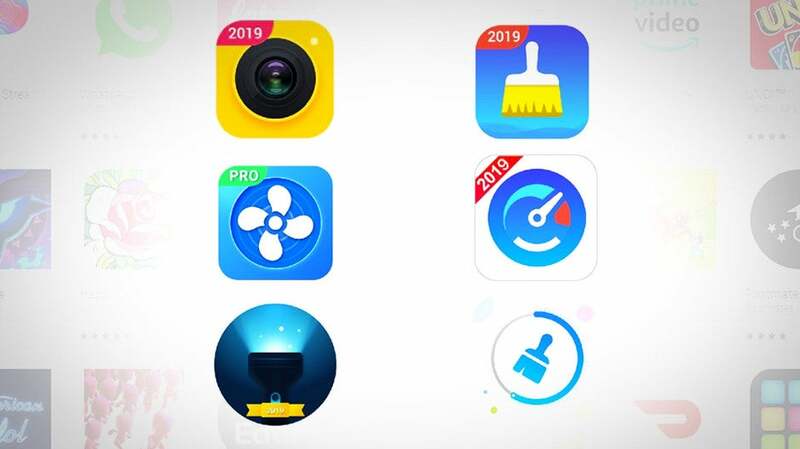 These apps include those labelled "entertainment," like Insitome's ancestry app designed to determine what percentage of your DNA is from Neanderthals. It includes health apps from partners like the Mayo Clinic to help inform people what genetic diseases they may carry. And it includes app advising people on lifestyle choices like exercise and nutrition, the category of testing that has received the most criticism from scientists. The idea is that customers will return to the DNA app store again and again throughout their lives. I've previously reported on the pseudoscientific nature of many lifestyle DNA tests. The premise easily inspires scepticism — a simple spit test that tells you how to best live your life? Many tests rely on either incomplete science, or an incomplete understanding of how much your genetics relate to who you are. But I was still curious — could I glean something useful from these tests, something I'd never considered? I tested out a handful of DNA wellness apps from Helix's app store, as well as from Orig3n, another consumer genetic testing company that offers lifestyle DNA tests. On the whole, I found myself besieged by so much (often conflicting) information that it was hard to make any sense of what it really meant. I was sold on the promises of "unlocking a whole new level of information," for a "truly personalised" approach to my health, but what I unlocked instead was a data-driven headache. One gene in Orig3n's Bliss test confirmed that I am indeed a morning person, reassuring me that SlumberType had been wrong. Other tests contradicted facts I know to be true, such as the test that told me I have naturally high levels of B12; earlier this year, I started taking vitamin B supplements after a blood test at my doctor's office revealed my levels of vitamin B were extremely low. Individual tests also seemed to sometimes contradict themselves, as did the test that informed me I was both not at risk for obesity (hooray!) and prone to obesity (damn) based on different genes. One genetic variant suggested I may have lower levels of the bad kind of cholesterol. Another indicated "higher cholesterol levels than the recommended levels." One test said I metabolized caffeine and alcohol normally. Another said I was fast to metabolize caffeine and slow to metabolize alcohol. While there seemed to be no agreement on whether I can taste bitterness in food, my taste buds assure me that I can. In 2008, an European Journal of Human Genetics article suggested that direct-to-consumer genetic tests are often little better than horoscopes that tell people information they were already predisposed to believe. Like a horoscope, I found myself nodding along to information that already fit into my pre-conceived notion of self, and tossing aside anything that didn't. "Most of this stuff is bogus," Eric Topol, a geneticist at Scripps Research Institute, told me as he scrolled through Helix's DNA app store on the other end of the line. "I can find hardly any science that backs most of this up. It's going to give genomics a bad name." "Most of this stuff is bogus. It's going to give genomics a bad name." There are plenty of explanations for the inconstancies I found in my tests. In some cases, the science was simply shaky, based on studies that were too small, too few or too narrow to extrapolate for the general population. When it comes to nutrition, several experts told me that there is simply not enough research to back up the majority of the many "nutrigenomics" tests now on the market. (There are a few exceptions. For example, the genomics behind genes that result in lactose intolerance are well-studied.) Different tests look at different genes to tell you the same piece of information. And methods of interpretation vary. SlumberType, for example, built an algorithmic model of my chronotype based on several genetic variants. Orig3n, on the other hand, simply tells users about all of the individual genes they have and what each variant might mean, which is why some of the results seemed contradictory. The other hitch is that we are, of course, more than the sum of our genetic parts — my tendency towards sunrise is based on more than just the As, Ts, Cs and Gs that comprise my DNA code. Children and elderly people generally rise early; teens stay up late at night. Gender, diet, ethnicity, exercise and other environmental factors can all play a role. "I've been worried for many years that in the public discourse there is this message that we are our DNA," UC Berkeley geneticist Rasmus Nielsen told me. "The biggest problem is that this stuff is marketed as actionable and there is no evidence of that. If they're selling snake oil, it's because of this implicit claim that you can somehow improve your health." 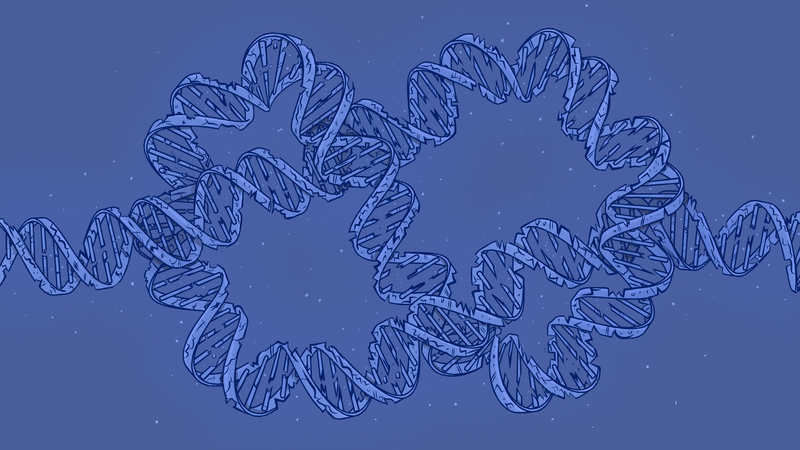 The privacy you give up when giving out your genetic information is a concern — a court of law could compel companies to hand over your DNA. And, as all genetic testing companies point out in their fine print, while the Genetic Information Non-Discrimination Act protects against health insurers requesting your genetic data, it does not prevent providers of life, disability or long-term care insurance from doing so when a test has already been done. Nielsen also told me tests doling out fitness and dietary advice could wind up encouraging people to adopt lifestyle habits that are not really right for them. Many tests suggest that users seek out the advice of a doctor before making lifestyle changes, but often it's in the fine print, or somewhere equally easy to miss. Even if the information is useful, some studies have suggested consumers don't actually change their behaviour based on genetic tests anyway. "It's hard to know if these tests are safe without knowing how people are really using them," said Neilsen. "In general, you have to ask if it's really good to have more information if you don't really have the skills to use that information?" For me, utility was the biggest sticking point. I had a deluge of data about my health and fitness, but there were so many data points I had no idea how to make sense of them. Some results were intriguing, such as the suggestion that a deleted GSTM1 gene means I need to eat more cruciferous vegetables to help my body make up for a lacking enzyme that helps with detoxification. Most of the time, though, the information just wasn't useful. This isn't to say there are no genetic tests that are worthwhile. Tests like that for the BRCA gene, for example, can help a woman make important decisions about her own health, and parents-to-be often benefit from finding out whether they are carriers for serious genetic disorders. "Some of these things have value," said Topol, pointing to the hereditary cancer test set to debut in the Helix marketplace soon. "But cholesterol, you don't need a genetic test for that. It doesn't matter if you have a gene variant. Either you have high cholesterol or you don't." Robert Green, a Harvard geneticist and advisor to Helix, told me that while he doesn't think every DNA app on the market is useful or scientifically valid, he does think that the explosion of the consumer genomics market will help to educate consumers and ultimately to democratize DNA. "There is a tension between building on legitimate science and marketing things that stray so far from the science or imply lifestyle utility that hasn't been proven," he told me. "There is an explosion going on in personalised genomics and it's not going to slow down. I don't think we can stop it, so I think we have to start going in the other direction." "Historically there has been this perspective that DNA is this book of all answers, a Magic 8 ball, per se. Science has categorically proven that's untrue." Green said he anticipates the field being messy for a while. In the end, though, he sees lifestyle products like those Helix and Orig3n offer as "relatively harmless ways to start learning about genetics." James Lu, co-founder and chief science officer of Helix, was upfront about the limitations of what his company's genetic testing can tell you. "Historically there has been this perspective that DNA is this book of all answers, a Magic 8 ball, per se," he said. "Science has categorically proven that's untrue." "We're going to have to merge DNA and other information together to provide complete answers," he said. "It's still the early days. I think a lot of the problems we see in the field will resolve themselves." Some of the products I tried did give me useful information about how to read my results. DNAFit offers several fitness and nutrition products through the Helix app store. When you get your results, before revealing them the company guides you to a page that explains "everything about who we are is comprised of the interaction between two factors — how we are born (our genetics), and what we do (our environment and lifestyle)." Understanding your genetics, it says, can help you to change the second part and achieve a happier, healthier you. DNAFit's fine-print reveals something that reads closer to the truth: "Genetic Information is subject to significant limitations"; "some of the interpretations that we provide may not be applicable";""Genetic Information reported has not been clinically validated." I worry that these DNA test things people are doing are more about the companies owning the patent to your genes or cells or something. Like what happened with Henrietta Lacks, or what happens in that book by Michael Crichton, 'Next' where corporations can own your cell line and then have the right to extract cells from you and your descendants for all eternity. Yeah. I know I have a healthy dose of paranoia when I say that. But really, I hope everyone reads the Terms and Conditions of DNA testing kits before they use them. DNA tests just compare you to other people. X amount of people with this gene are Y. It's not actually what the gene does.